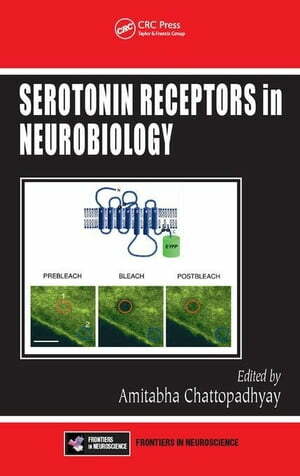 Collins Booksellers - Serotonin Receptors in Neurobiology by Chattopadhyay, Amitabha, 9781420005752. Buy this book online. A number of developments spanning a multitude of techniques makes this an exciting time for research in serotonin receptors. A comprehensive review of the subject from a multidisciplinary perspective, Serotonin Receptors in Neurobiology is among the first books to include information on serotonin receptor knockout studies. With contributions from leading experts in their fields, the book explores serotonin receptors from a broad-based, multidisciplinary approach. The approaches described vary from molecular biological techniques to fluorescence microscopy and imaging, to genetic manipulation in animal models, providing a wide range of tools to study serotonergic phenomena. While each of these approaches has its own advantages and limitations, the synthesis of information and knowledge achieved from studies using multiple approaches will result in a comprehensive understanding of the underlying complex phenomena involved in serotonergic signaling and its implications in health and disease. The book provides an overall understanding of these receptors based on currently used methodologies and techniques. It describes specific experimental procedures that will be of use to researchers interested in addressing similar problems involving other G-protein-coupled receptor signaling systems.